Are you planning on taking a trip from Manila to Bataan but dread the 3 to 4 hours travel? No more worries! With 1Bataan Integrated Transport System’s new ferry service, you only have to travel 50 minutes to go from Manila to Bataan. Now isn’t that awesome? If you’re tired of riding the Genesis Bus or the Bataan Transit Bus, chances are you want to try riding something new and faster to Bataan. Have we got great news for you! The 1Bataan Integrated Transport System Inc. recently introduced a new ferry service this year to take passengers from the Esplanade Seaside Terminal found near MOA in Pasay City to Port Capinpin in Orion, Bataan via the Manila Bay. Reading about this is kinda awesome, right? You no longer have to travel for hours with all the traffic just to reach the well-known Las Casas Filipinas de Acuzar or the beaches of Bataan like the Playa La Caleta. About 1Bataan Integrated Transport System Inc. When we heard about the 1Bataan ferry, we were ecstatic to try it and see for ourselves how fast and comfortable it can be. Since we were already planning on going to Playa La Caleta, we thought why not ride this from Manila to Bataan? It saves time and is more convenient. If you’re planning on riding this bad boy, I’ve created this article just for you! Everything you need to know from where to ride the ferry to booking online is here. So let’s get started, shall we? A long long time ago in February 2017, the Magic Leaf Marine Logistics Corporation (Magic Leaf), a company with years of experience in the ferry-bus transportation, went to the Provincial Government of Bataan and proposed a new integrated transportation system to bring Manila closer to the people of Bataan. After a few studies and processes, the 1Bataan Integrated Transport System finally started its operations in 2018. THE END. Kidding! We booked a trip to Orion on a Saturday morning. We arrived at the Esplanade Seaside Terminal at around 5:30 AM and waited for the counter to open. Once it was open, we presented our tickets and we were given our boarding pass. Thirty minutes before our trip, the gates were opened and we fell in line to get on the ferry. One by one, our baggage was checked. Upon entering the ferry, I was at awe of how clean it was. We looked for our seats printed on the boarding pass and settled. There are no overhead compartments whatsoever. The view outside the window was pretty awesome but knowing Manila Bay, the waters weren’t that clear. I switched my attention to the big TV in front and watched the movie. The sail went pretty smooth. There weren’t any big waves or bad weather so we arrived fast at Orion. Be aware though that 1Bataan can cancel the trip at any time whether due to bad weather conditions or technical problems. During our trip from Orion back to Manila, our trip got canceled due to some technical problems. I was given two options, either to rebook our tickets or refund. I chose refund which the ferry’s staff told me would take 20 to 30 days. The money would be deposited back to the debit card I used to book. We were only given the said cancelation info 1 hour before the trip which was when we were in the jeep going to Orion. Good thing a Bataan transit bus happened to pass by when we went to the highway so we were able to go back to Manila that same day. Today, the 1Bataan Ferry starts its journey from Manila Bay to Capinpin Port in Orion and vice versa. – Time of travel is around 50 minutes. Inside the ferry, you will find a big LED TV. During our trip, there were showing the Slenderman. I was devastated that we arrived at Orion before the movie even ended. Huhu. If you feel the need to pee, no worries! 1Bataan Ferry has toilets for both males and females. Mobile signal during the trip is near to ZERO, but there’s free WiFi inside. Wink. You can either book online or buy a ticket at the port. Booking online costs P450 while buying a ticket from the port costs P750. 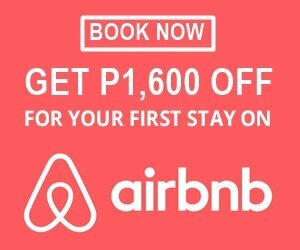 If you want to book online, first go to https://its.1bataan.com/. Choose your ferry trip. Either from Manila to Orion or Orion to Manila. Then, choose the date of your travel. Next, you will be shown the available ferry schedules. Simply, click on the QTY and input how many tickets you are buying and click ADD TO CART. Input your details. Don’t forget to read the terms and conditions. Check the ‘I agree’ box if you agree and select the payment option. Click on the ‘Proceed to Payment’ button and pay for your ticket. You will be given an electronic ticket (your laptop/smartphone will automatically download). Remember, this is not yet your boarding pass. You still have to get your boarding pass from the counter when you check in. You can either print this ticket or show it from your phone to the person managing the counter at the terminal. SEVENTY-TWO (72) HOURS before departure for other payment channels. Passengers are requested to provide full name, age, and contact number for the manifest in compliance with Philippine Coast Guard requirement. Passengers can check-in 1 hour and 30 minutes before departure time. Gate closes 30 minutes before departure. Please present valid IDs for verification of each passenger. A normal routine baggage checking will be done in both terminals for security. Upon arrival, kindly approach the ticketing booth to secure your boarding pass. If you have more questions, you can check out 1Bataan’s Frequently Asked Questions.